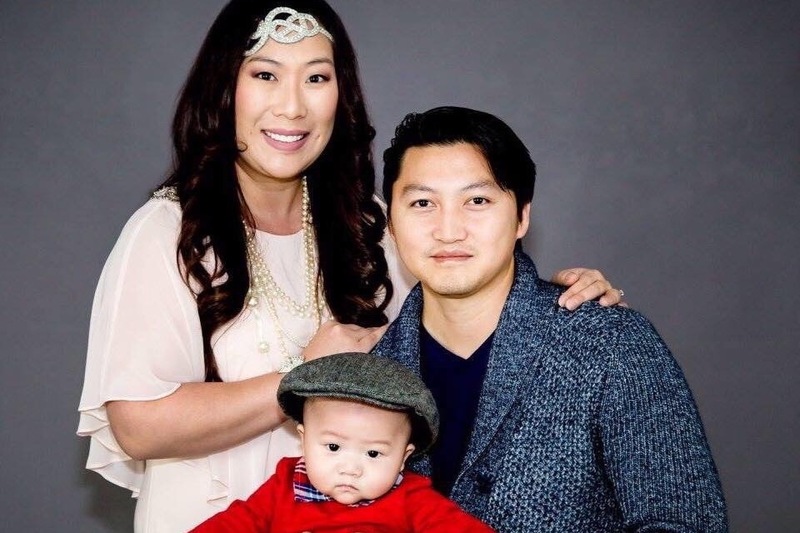 On Saturday, July 21, 2018 at around 4:30PM in Appleton, WI, our dear Aunt Ka Xiong Thao and her husband, Kor Thao, were on their way back from shopping for her son’s first birthday party when they were involved in a tragic accident. While driving on a commercial road, a piece of metal pierced the windshield and struck Ka in the passenger seat as they approached an intersection. The metal piece, which appears to be a part of a vehicle, was about 15 inches long, three inches wide, and a half-inch thick. While her husband Kor, who is a United Steel Worker, is safe, Ka sustained life-threatening injuries to her neck, jaw, brain, and spine. She is still in the hospital fighting to recover. At this time, authorities are still searching for further information regarding the accident, particularly the source of the object and how the terrible situation unfolded. Ka is only 32-years-old, and her life just barely began. Two years ago, she married the love of her life and last year, she gave birth to their son. Ka’s life has always been about helping people and giving back. As the first person in her family to get a college degree, Ka has always been a role model and big support for her family. Ka received her Master’s of Social Work in the Fall of 2009 from the University of Wisconsin-Milwaukee. She wanted to help her community, particularly people from disadvantaged backgrounds, and she strived for this in her career, as an IRIS consultant, working with elderly and disabled populations. Within the blink of an eye in what seems like an unimaginable freak accident, Ka’s life has completely changed. Ka is unable to return to her normal life currently. She will need extensive medical treatment and physical therapy on her road to recovery. Her husband is currently out of work to take care of her and it is unclear when he will be able to return. Their baby, Lucian, is missing his mother and still needs her very much. With no income during this difficult and heartbreaking time, this fundraiser will go toward supporting Ka’s medical expenses and her family. Any help will be greatly appreciated. Please support, share, and keep Ka in your thoughts and prayers! It has been exactly 30 days since Ka’s accident. While the last month has been a difficult one for the family, it has been hardest on Ka. Ka spent exactly 26 days in the Intensive Care Unit hooked up to a life support machine. In just her first two weeks in the ICU, Ka underwent multiple life sustaining surgeries, including: tracheotomy to help her breathe; gastrostomy to insert a feeding tube into her stomach; trephination to relieve pressure and swelling in her brain; and surgery to fix her neck bones, jaw bones, sinus, and tongue. Although Ka has finally started breathing on her own, she is not out of the woods yet. Ka is still in a coma and still needs extensive medical care. Ka’s medical team is still uncertain about when Ka will wake up, however, her family remains hopeful. Her family is thankful for the generosity and kindness that the community has shown them.